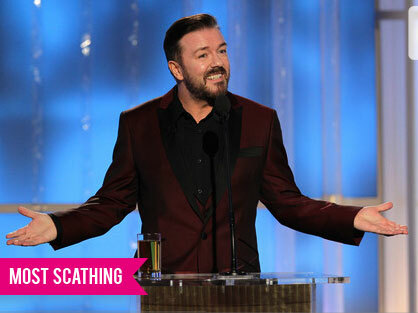 Who watched the Golden Globes last night? Anyone? No one I can gossip to, so I need to post about it. I love award shows because of the fashion and celebrities. Before you start, YES I realize how ironic it is that I should be making fun of other pople’s fashion choices since I am sort of a boring dresser. BUT I don’t have money to throw at fancy things, nor do I have any reason to be fancy, so there, haters. You might need to look up a picture of the back of this dress to see what I mean, it was a-mah-zing. Love the dress and hair, but had to come up with an award with the word “Most” in front of it. Probably was the most leg that night? Before you say anything she has an EAGLE BELT. She’s a sweet girl, but no. He could have been more scathing I think, and there could have been a lot more Ricky Gervais for my liking, but it was a good time. Also super nice suit! 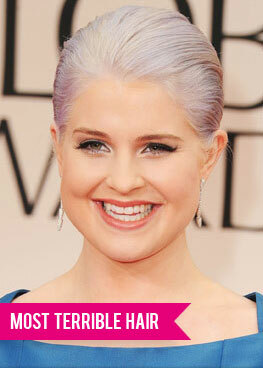 Red carpet photos from Getty images, Kelly Osbourne picture from TMZ. Previous postValentine’s day – coming soon!